PennsylvAsia: Diners 2+1―serving sushi, sashimi, rolls, and bowls―replaces 15 Fahrenheit in Squirrel Hill. 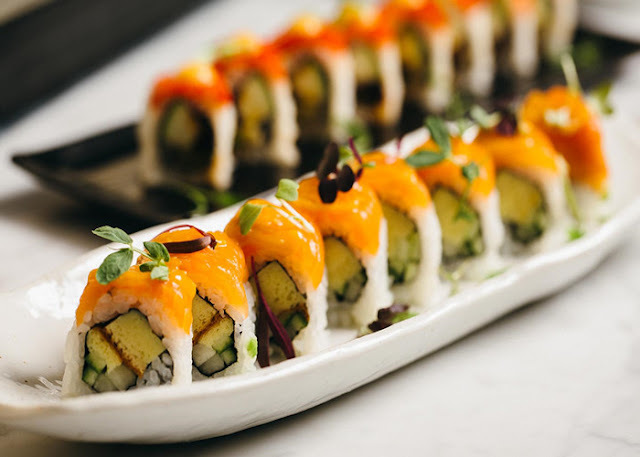 Diners 2+1―serving sushi, sashimi, rolls, and bowls―replaces 15 Fahrenheit in Squirrel Hill. After closing for the winter, 15 Fahrenheit rolled ice cream has closed for good in Squirrel Hill, replaced by a sushi and fast-casual place called Diners 2+1. The menu includes sushi, rolls, and various bowls. The restaurant is located at 1722 Murray Ave. (map) and was cleared to open by the county health department on March 28.